Kelly L'Hereux recently talked with CT Indie about the band's new form, older songs growing into newer songs, the new self-released EP Beautiful Evidence, and Kelly's own renewed sense of self. CT INDIE: So, Atrina is back? 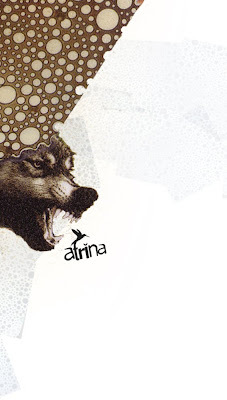 ATRINA: Atrina is back, though not necessarily re-united. We’ve got two new members, Dave Parmelee (The Vultures, Horsefeathers, Goose Lane) on drums and Phil Law (Bloarzeyd, Humanoid) playing guitar. I’m still not exactly sure how it all came about. I got side-tracked with life for a while, some pretty serious stuff too. And even though music wasn’t my focus for a long time, Atrina still felt like an unfinished project—like everything fell apart just as we were starting to really find our sound and point-of-view as a band. I’m not the type of person who likes to leave things unfinished. So, there was always this unease. I really believed in the songs (on most days anyway) and thought they never got their fair shake. Then Will (Iannuzzi, original bass player, also of The Vultures and Baby G) brought up playing again. We talked to Warren (Brelsford, original drummer, also of The Vultures, Humanoid, Black Noise Scam), but it just never happened. A few months later, Will mentioned that Dave was interested. They were both so enthusiastic about the music. I was flattered, really, that people were willing to dedicate time and energy into it. So I asked Phil (Law, of Bloarzeyd, Humanoid) to play guitar and—all of sudden—Atrina was back. Next thing I know, we are in the studio, recording what seemed like the logical grouping of songs. Then we booked a show and just made it happen. Now I’m hoping I can write more songs! They seem to come from nowhere or happen completely accidentally, which is freeing, but also scary because you never know when the next one will come. 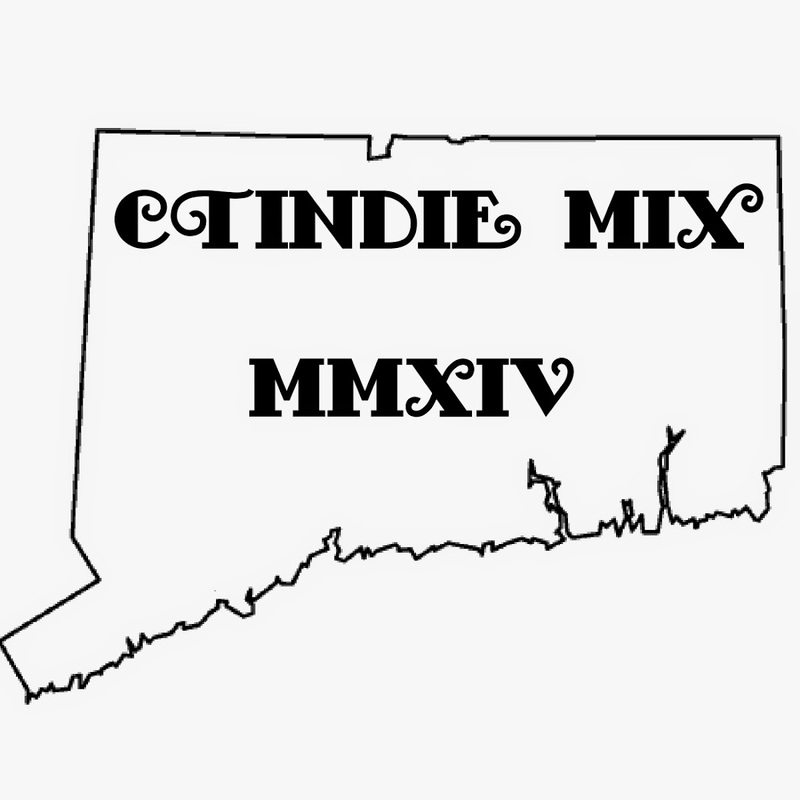 CT INDIE: Of the songs that were selected for the EP, is the opening track "Seven Ways" newer? The whole EP feels completely interconnected, but at the same time “Seven Ways” sounds like its very own statement. 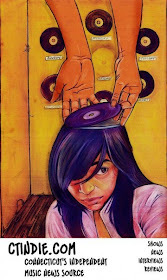 ATRINA: I always find how people hear or perceive songs, records, shows—especially my own—to be fascinating. Good or bad, all opinions are valid, but usually entirely different from my own intention or inspiration. The dichotomy between “making” and “reading” cultural texts was actually the focus of my work in college. That said, and to answer your question more directly, except for the last track, all of the songs on the EP were written between 2002 and 2003. “Seven Ways,” “Beautiful Evidence”, and “Feed” must have come in 2002 because we played them at our first show. “A Witness” came later... We debuted that one in March of 2003. Sometimes I feel satisfied more by the accomplishment of recording something than the actual outcome, because during the recording process you get intimate with a song in new ways. It can expose a lot of its strengths and weaknesses. But with day jobs and life and music not exactly paying the bills, you have limited time and money to work with that awareness. Like, you’ll hear something you wish the drums did after you’ve laid down 15 other tracks and you can’t just overdub a full drum set for one little part. So you just do as much as you can, work with what you have, make the best decisions you can, and eventually call it a day. Otherwise, you’d never get anything done! Then you wrap up the recording and go back to playing live. Only now you’re working out those things you noticed in the studio and evolving the song again, trying to get closer to the new, recorded version. And all of a sudden, you are intimate with the song in yet another way. You wish you could go back and record it again—bigger and better. It’s a constant cycle of recording, playing live, recording, playing live. I could probably spend a lifetime going back and forth with just one song and still never be completely satisfied with the outcome, but never get bored either. CT INDIE: So, getting an EP out right away was naturally the next step to take. ATRINA: I’ve always been big on having something to put in people’s hands. As soon as Atrina was “back together”, I knew we would have to record. You play to expose people to your music, and without a recording it’s difficult to find an audience. Hell, it’s difficult enough when you do have a recording. A live show is fleeting and, to a large extent, a shared experience. But there’s also that side of music where people want to possess it, claim it as their own. So I’ve always tried to give that to the listener in a recording—something intimate, an atmosphere to get lost in for a little while (preferably loudly in the headphones!). Plus, I just really love recording. Like I mentioned before, it’s an opportunity to get inside the songs and refine the nuances. But it’s also like a scrapbook, really—a document of all the memories that went into creating that song. It’s capturing the energy of all the people, moments, and circumstances that played a part in its evolution. And in the case of Atrina, that was really important to me, cathartic even. I wanted to honor the ideas the original members contributed, while allowing the new members to infuse their own ideas too, to take ownership of their parts. Because of the lineup change, there’s new energy and life to the music. The best part is that I get to play with some of my favorite musicians and people in the world. But at the same time, the past kind of lingers. Not that there’s bad blood or anything, at least not on my end. I spent many years making music with Warren and John (Butwell, original guitar player) and miss their energy and spirit in so many ways. But life took us in different directions, and I just couldn’t see it working out the same. So I took and worked with the songs that were truly “mine.” The one exception is “Sulu”, from Searching for a Better Way..., which we still play live (with John’s blessing, of course!). 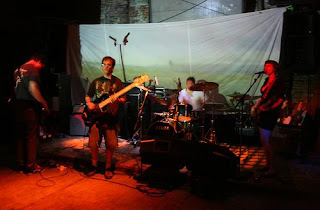 CTINDIE: The new EP sounds woven together, with each song as equally distinct from the others as they are interconnected. Has being a three-time cancer survivor influenced you to explore this interplay? What about more mundane inspirations? Has your day job as an Information Architect had any influence on you to go in this direction with the EP? ATRINA: Since the songs were written well before I was formally an information architect, I can’t blame it on that. In fact, I tend to start out very unfocused and haphazardly on projects, thematically and directionally. I’m focused on producing an end product and have distinct visions for the individual parts, but not the holistic view when I set out. All the while, I remain conscious of representing things as a whole in the end. So throughout the process I kind of identify themes and start to exploit them. It’s like, I’m open and let things happen by chance, but I search for meaning in that and start molding all those little coincidences into a unified piece. I have these songs and I spend equal amounts of time writing, performing, and just thinking about them. And each part of that process informs the other. Then I reflect about other things going on in my life in relation to it all, and start piecing together a narrative that means something to me. If other people identify with it—all the better. But I can say that my decision to become an information architect has something to do with the title of the EP, which is taken from an Edward Tufte book about information design that inspired the transition. And if this music thing doesn’t work out (maybe even if it still does), I’m really interested in studying library science of all things. I love music and noise, but I also love and crave silence just as much. But back to your question… the songs will always be interconnected because they are born from the same place, which I think is a desire to make sense of existence, and my life in particular—my place in the world. I know that sounds cliché and pretentious, but I don’t mean it to be. I can only speak for myself, but I often feel very conflicted. Among other things, being a 3x cancer survivor has a lot to do with that. I’m constantly trying to balance a lot of pain, confusion and fear with gratitude to all the people who help me through that and a sense of duty to make this life that I have fought so hard to keep something worthwhile. That duality in thinking has been there as long as I can remember, and I think it extends to the music. I mean, drama tends to find its way into everyone’s life sooner or later. But having that drama introduced at such a young age (I was 11 at the time of my first diagnosis), seems to amplify it. It’s almost expected or forced upon you, because it sounds so extraordinary to anyone who hasn’t experienced it. And you are constantly put in a position to retell your story—every time you meet a new doctor, to someone who was just diagnosed, because you want to educate others and drama is an important tool for that... So it becomes a major part of your personality, of your “story”, whether you want it to be or not. It gets a response, you know? But I don’t know any differently. For better or worse, it’s all just “a part of life”, so to speak. My life, sure, but that’s my only vantage point. I don’t know whether I was dramatic to begin with or if I just felt this duty to be dramatic about it. Maybe a little of both? Either way, it keeps me thinking about life as narrative. And that thought process extends to making music, whether I’m putting together a set list or piecing a record into a whole. CT INDIE: Would you say that all of this, then, connects to your "renewed sense of self" that you describe in your Why I Ride bio on the CT Challenge website? ATRINA: It’s like, I used to be really uptight and controlling about music and the band. But part of this renewed sense of self is still being persistent and diligent enough to make things happen, but also a little more laid-back. (I think they call it “having fun!”) I always thought that making music had to be all or nothing. But now, it’s more like, “today I feel like riding my bike”, and I’ll do that without the accompanying guilt of thinking, “but if I don’t play my guitar today, I’m not a real musician.” Because the truth is, I have lots interests and whims that I used to deny myself. Now, I’m less concerned with being this or being that, than just being and having balance. Not having music in my life for 5 years was depressing. But now it’s back in the mix, because I understand how it fits into my life. It’s not the be all, end all. It’s damn important, but there are so many things I feel compelled to do and explore. Letting everything be connected just makes each endeavor and experience much richer. CT Indie: What about the influence of your “old life” on you? ATRINA: I grew up in Naugatuck. I have been singing and playing music most of my life. But I was also good at school and sports, and never chose one thing over the other. I wanted to be an Olympic gymnast for awhile, and did compete as a child until I got sick. Then I turned to diving, but broke my nose. So far, I haven’t broken anything playing music... So maybe that was always my true calling. Even with music, I was really unfocused. I played anything I could get my hands on. Then I transferred from Naugatuck High (which had an excellent music program) to a small, private school in Waterbury (whose band was playing stuff that I’d played in middle school). So I quit the school band and started a rock band with John (again, a major player in the original Atrina lineup/recordings). 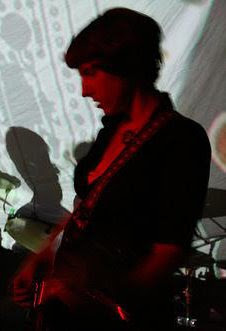 We were called “Glider” at that time and the MBV influence was huge. But we also tried to infuse a little heaviness into the music (which happens when you are from Naugatuck I guess). CT INDIE: What is it about Naugatuck that inspires a heavier sound? ATRINA: I’m not really sure if there’s any particular correlation, to be honest. It’s just kind of a running joke, almost a self-defensive thing like, “I can’t help it. I’m from Naugatuck. (Smirk. Smirk. Wink. Wink)." I don’t really know how to put it, but Naugatuck is a working class town where classic rock and heavy metal loomed large. It was also what all the people I made music with grew up listening to. So again, it’s like parts of your personality that you aren’t really sure where they came from. Riffs just come out of me and I need to blame something or someone, so Naugatuck is as good a scapegoat as any. I remember being very young and playing one of the first songs I’d written for someone who was like, “Dude, that sounds just like Black Sabbath” and I was like, “Who?” So, who knows. I listen to and love all kinds of music. A lot of the melodicism comes from playing to orchestral and symphonic music. But I’ve always respected the power and irony of a good riff. It’s just so obvious and almost non-confrontational despite the aggressiveness, because it’s so familiar and cliché. But ultimately that is what makes it comforting. I’ve always found that dichotomy interesting. Plus, a riff is universal, so simple and basic that even non-musicians “get it.” And it just always seems that, rather unintentionally, I end up mixing that directness with more obscure ideas and sounds. What Naugatuck has to do with that? I’m not exactly sure. Like I said, I just don’t always want to have to take full responsibility for it. CT INDIE: How can everyone get a copy of the new EP? ATRINA: We did a run of advance release CD-R copies at our BAR show in July. 100% of those sales went to the CT Challenge, which ended up being close to $200. The official CD is out now and is available through IndepenDisc.com, which has graciously committed to donating $1 for every sale to the organization as well. Also, all the packaging is 100% recycled material. I wouldn't call myself a do-gooder; I just try to do good wherever, whenever possible.